I was visited Palembang in April 2011. 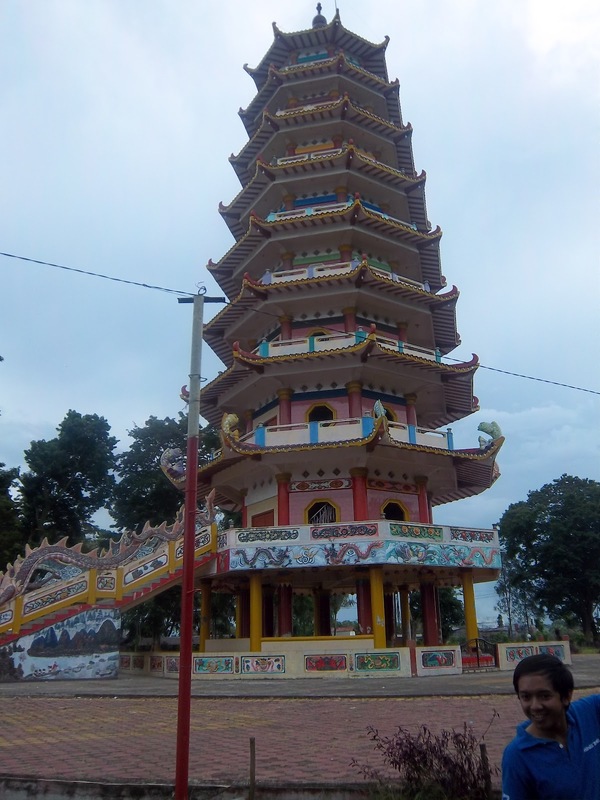 My finasl destinastion was Belitung Island. 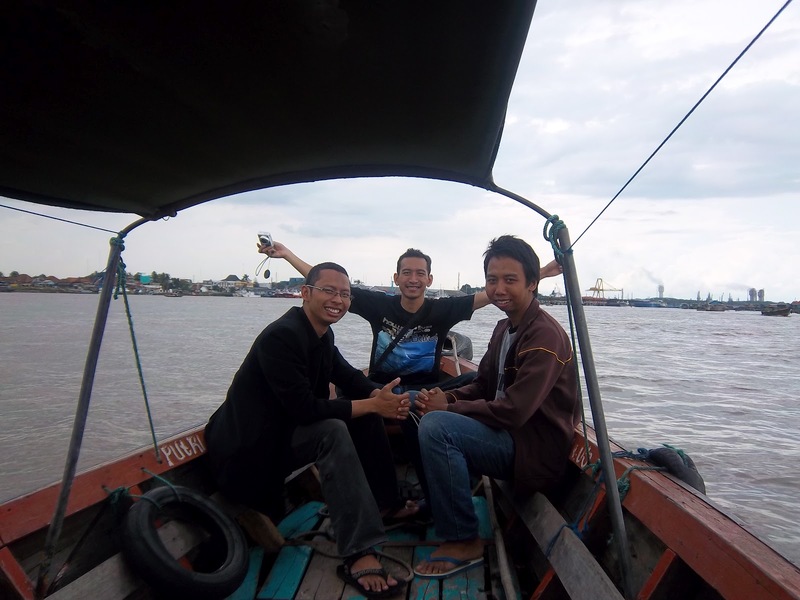 I took the land transportation from Padang to Palembang to saved the travel budget. I had fun and enjoying the journey but I forgot to told the story here in my blog. Although this was a late post, I hope you still could get the excitement from my journey. 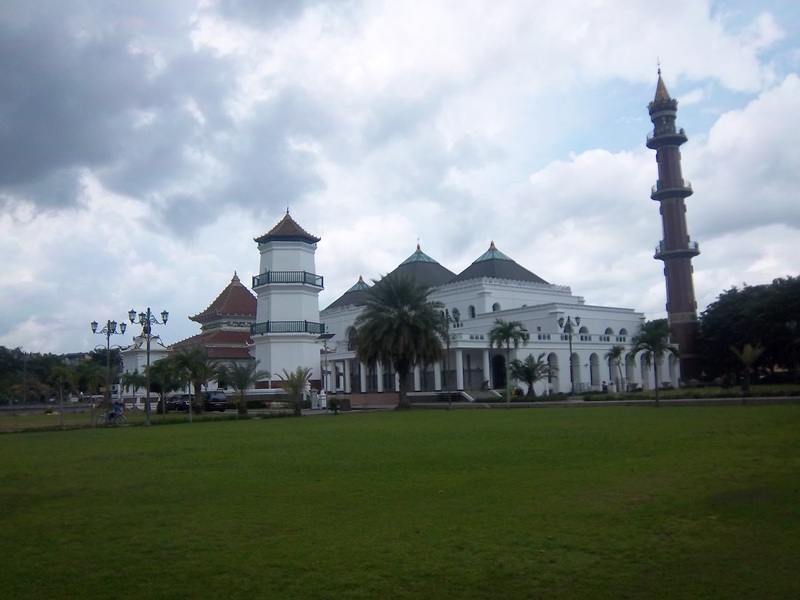 I went from Padang on Wednesday at 02:00 PM by coach and arrived at Palembang at 07:30 AM on the next day. The journey took a longer time than usual because the coach had a trouble with the tires. 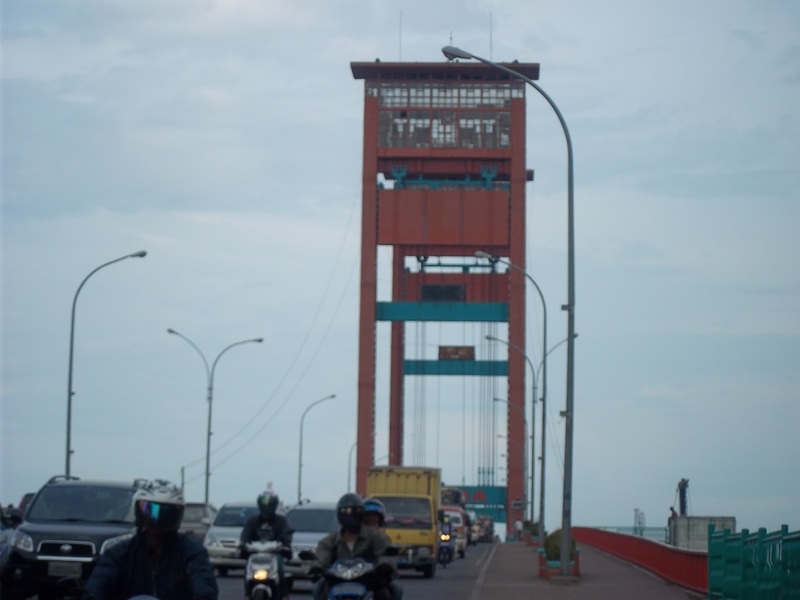 Actually the tires bursted twice, the first was happened in Jambi and the second when we arrived in South Sumatera border. The reparation took about 2 hours. 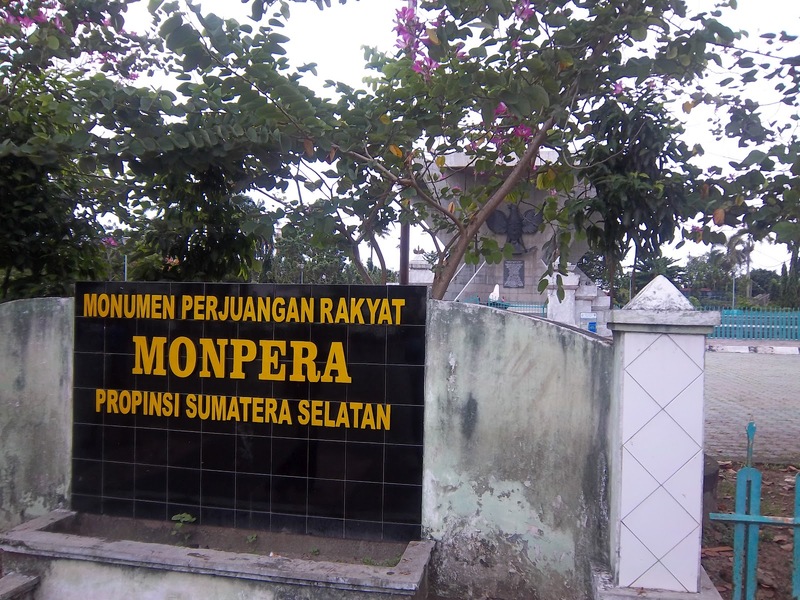 But the second reparation took a longer time because it happened at early morning when the nearest workshop had not open yet. 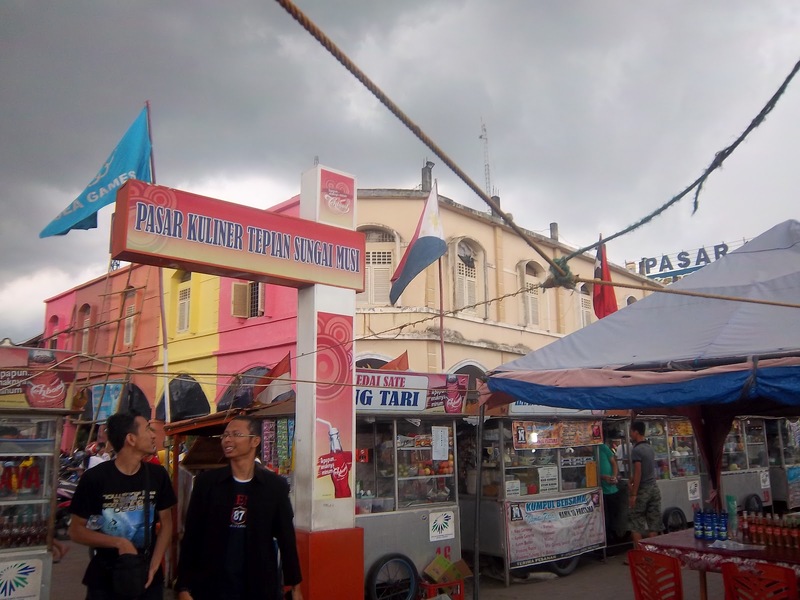 After arrived at Palembang, I already forgot the tragedy. I was enjoying the short visit in Palembang to the fullest. I would like to say thank you to Bang Ramadan's family because they had voluntary gived a free ride for me and my friend from the coach office to our hotel. Bang Madhan also bought the jetfoil ticket from Palembang to Bangka and from Bangka to Belitung for me. 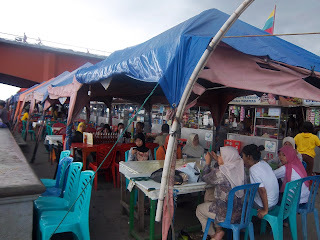 I didn't know how to said thanks to him anymore after he also reserved a coach from Muntok (the Harbour for Jetfoil from Palembang) to Pangkalan Balam, the Harbour in Bangka Island. What a very kindly man he was. A trustworthy and reliable friend. 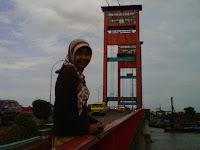 If you want to take the same journey as mine, you can get the jetfoil ticket in Boombaru, the name of Palembang's harbour. You can go there by taxi for 20-30 minutes drive from Palembang City. We choosed a hotel near Ampera Bridge. My friends sugested the hotel because of it's strategic location. It was easy to reach many famous tourist resorts from the hotel. 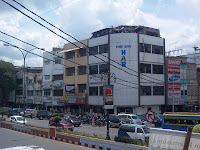 The name of the hotel was Sriwijaya Hotel. It was a very cheap hotel. The rate was only 90IDR/night for one room. I took a room for my own. Actually the hotel's appearance wasn't that good. It was an old hotel. I didn't want to come back to the hotel because I didn't feel comfortable. I was the only girl at that time, that's why may be I was trauma took a night alone in an old hotel. But nothing bad thing happened while I stayed there. 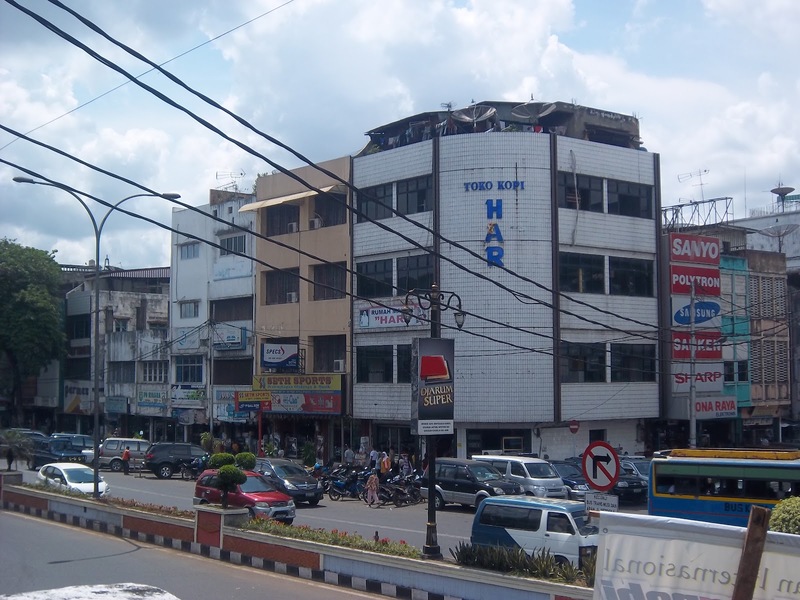 If you were a budget traveller, I would like to suggest you to choose the hotel because of it's super cheap rate and very strategic location. From Martabak Har we walked to Masjid Agung Palembang for Dzuhur praying. We took many photos there. There was the biggest Al-Qur'an at the Masjid. 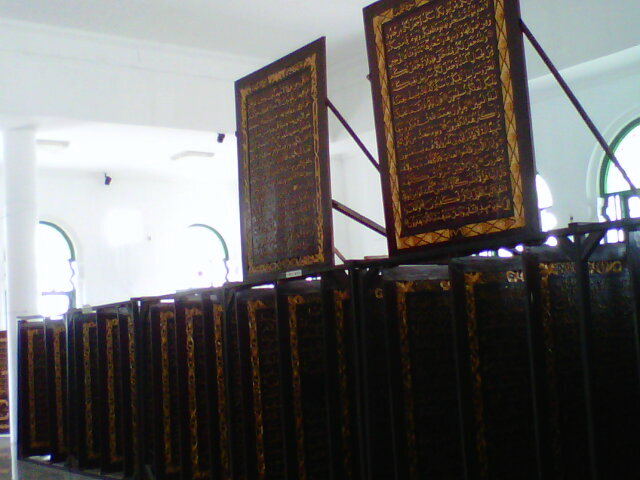 That was the first time I saw Al Qur'an in that size. Subhanallah. 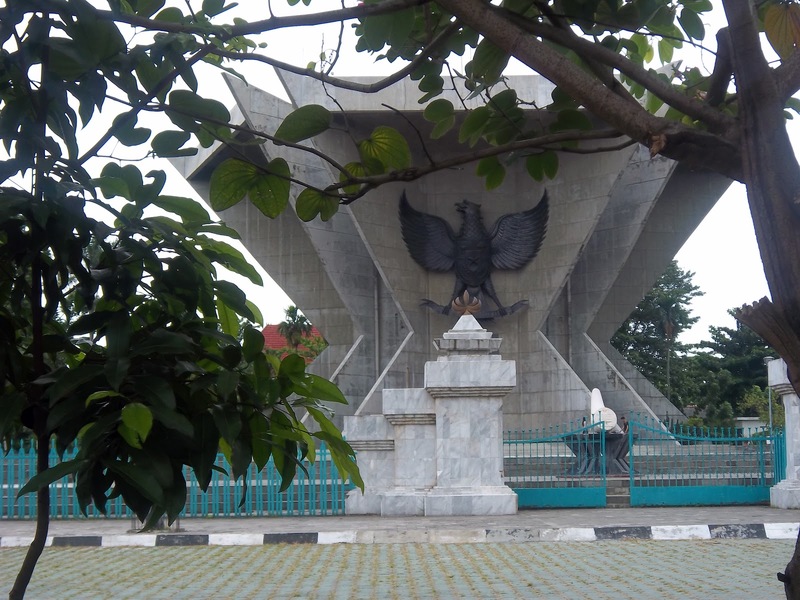 We also walking around to Monumen Perjuangan Rakyat and Ampera Bridge. 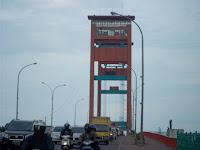 The Bridge Connected Seberang Ulu and Seberang Ilir that divided by Musi river, the longest river in Sumatera Island. The bridge getting prettier at night becayse many light from the bridge lamp made it more colorful and attractive. There were many ways from the bridge to went down to reach the river. 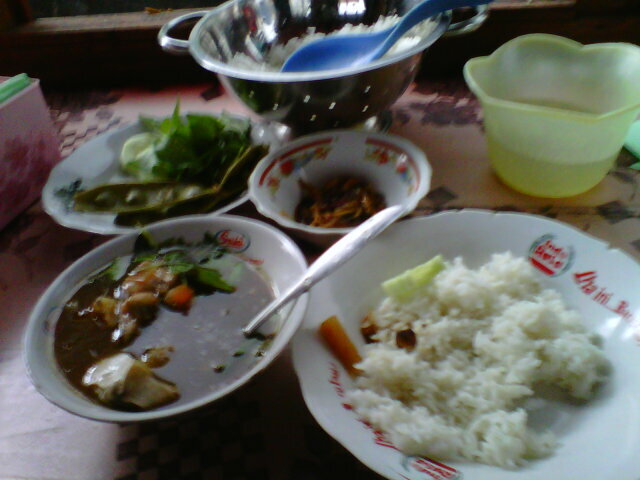 You would find various culinary under the bridge. Trans Musi Shelter Bus also located under the bridge. Me and my friends interested to boating around Musi River. We bargained a boat from the Musi River fisherman to took us boating the large river to reach Kemaro Island. Actually the island was very popular among tourist. There was a Pagoda in that little Island. 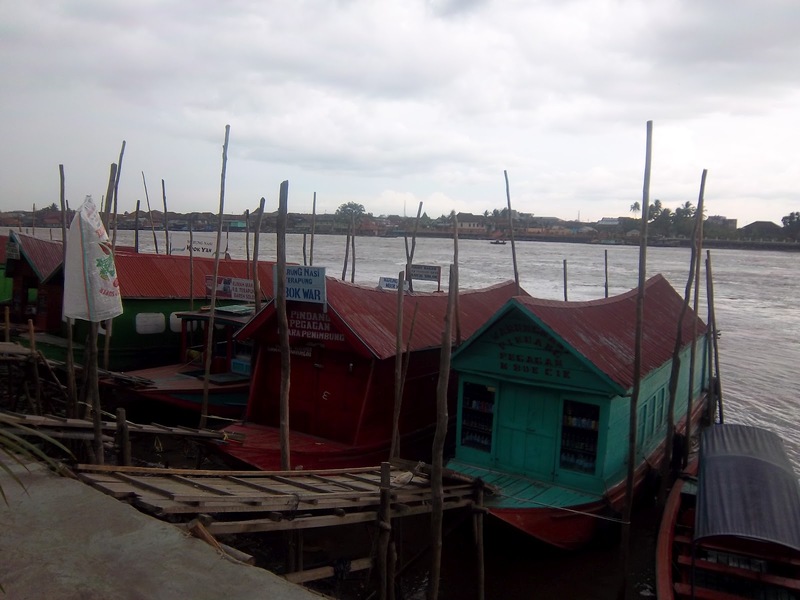 I hope the people who lived at the riverside of Musi River would not throw garbage into the river to keep the river clean and preventing the silting. The weather in Pulau Kemaro was so hot. I thought that's why it called Kemaro. Kemarau in Indonesian means dry season. 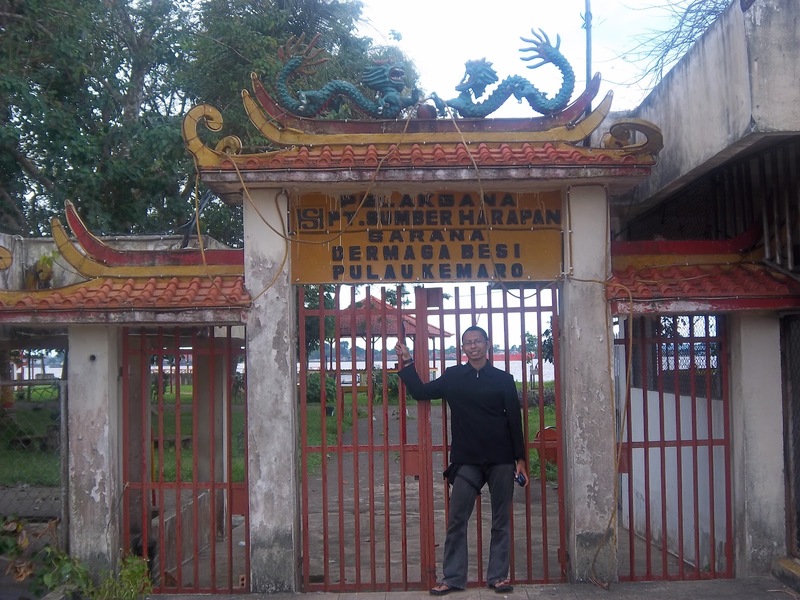 The fact showed us that it named Kemarau because the river delta where the Kemaro Island located was always dry. There was a myth in that island about the love story between a local Princess with a Chinese Prince. 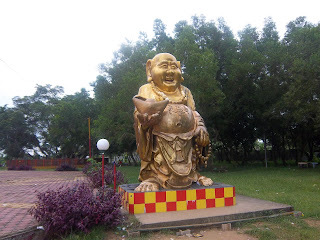 That's why we could find Pagoda and Budha Statue there. There were also Panda Statue. Panda always represent Chinese typical animal, you can read the story on a monument there. After satisfied walking around the island, we went back to under bridge by boat. 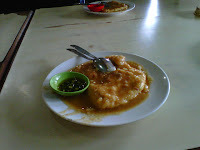 We Want to tried Pindang, another tasty food from Palembang. 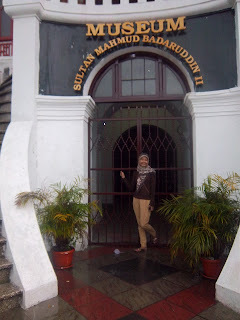 Satisfied with the food and the things we found below the river, we walked to Museum Sultan Mahmud Badaruddin II and Benteng Kuto Besak, another landmark of Palembang. We went to Palembang Indah Mall to bought Nyes-Nyes T-Shirt for our gift, an iconic thirt that only available in Palembang on afternoon. The T-Shirt comfortable to wear. The most uniquea part of the tshirt was the story and picture about Palembang with Palembangnese Language in it. We get some foods again at night. We chose Candy, the most delicious Empek-Empek Restaurant. I ate Empek-Empek and another various delicious spicy menu. 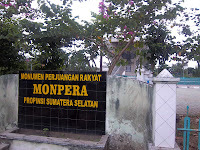 Yumm yumm yummm....Fyi, Candy only available in South Sumatera.